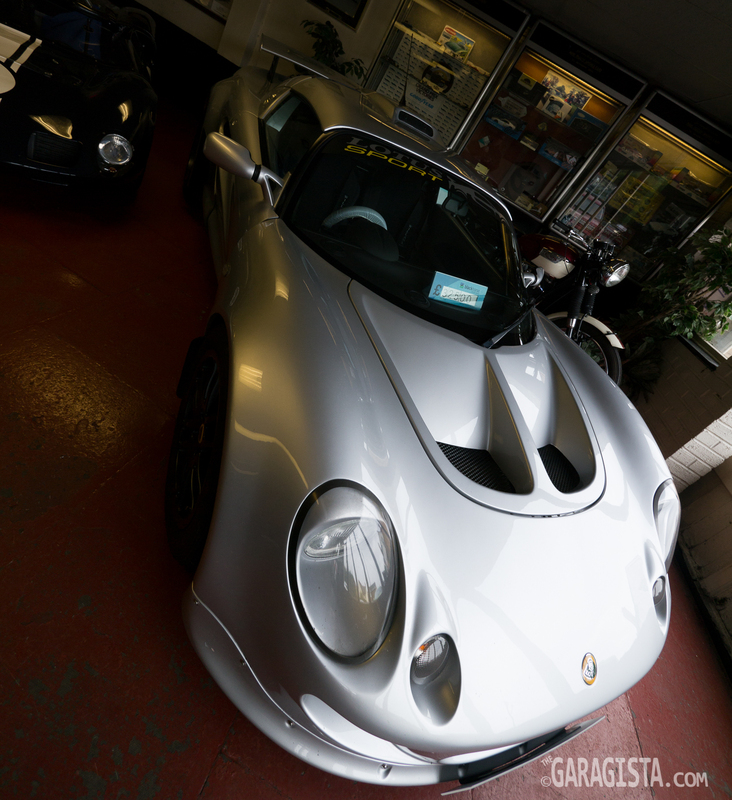 I’ve known of Paul Matty Sports Cars for years through their advertisements in various UK magazines and publications. Sadly, I never had the privilege of visiting the shop even though I have traveled to the UK on numerous occasions. 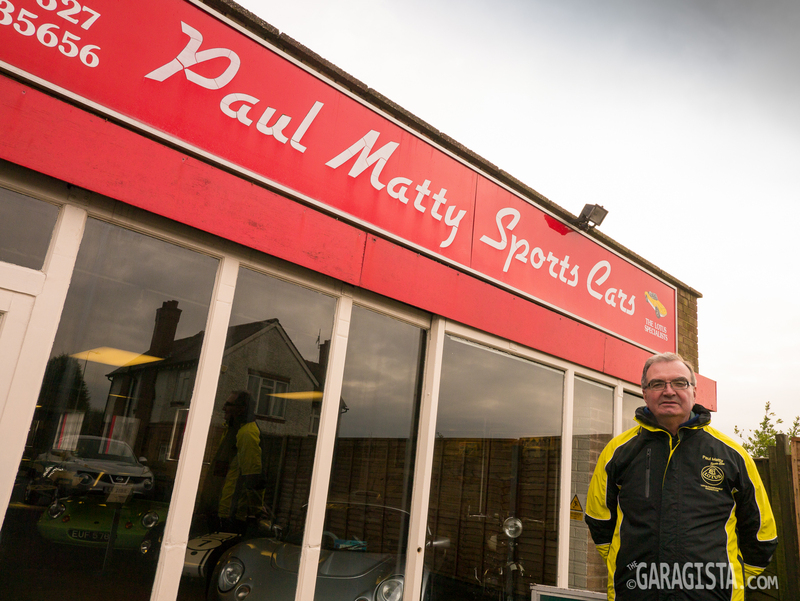 I found myself traveling in England’s Black Country this past January so a visit to Paul Matty’s was on the agenda. I arrived unannounced and went straight to the parts counter. 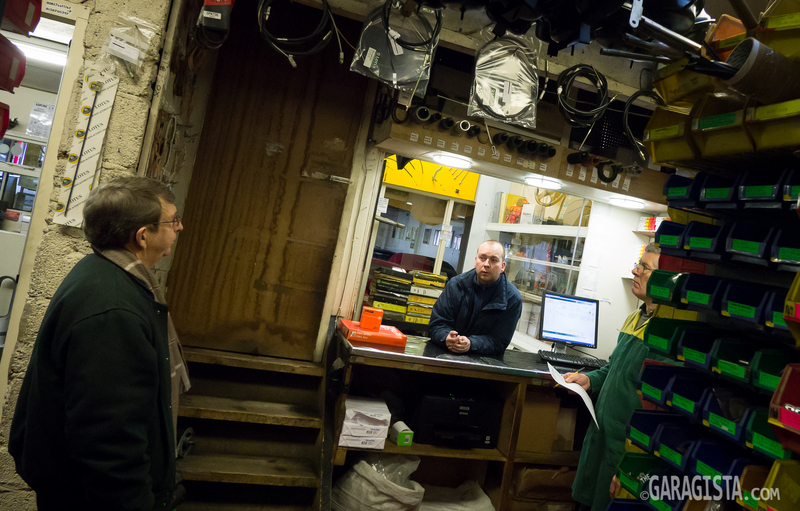 There I introduced myself to Roy Fellows, the parts manager. 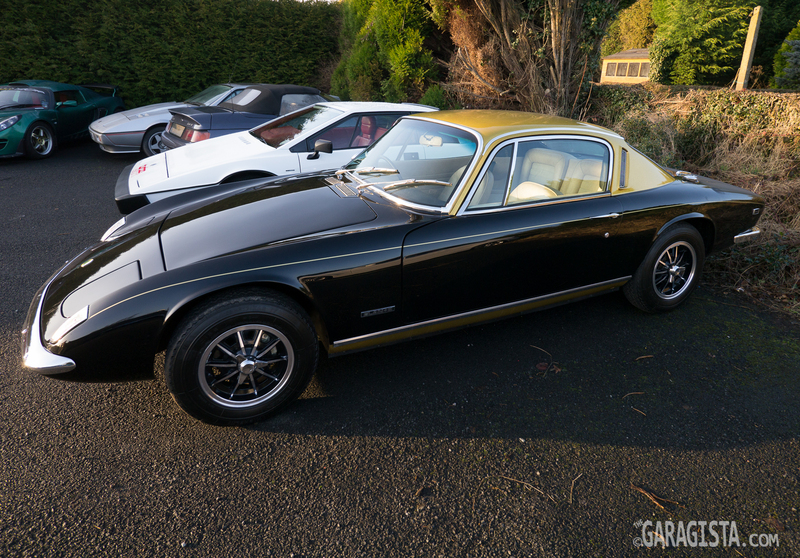 Interestingly enough, the guys at Paul Matty Sports Cars were familiar with “The Garagista” from previous coverage of the Shelsley Walsh Hill Climb and were glad to show me around. John Crook, Paul’s right hand man from nearly the beginning, was kind enough to explain the history of the company and show me the facility. It can only be described as a kaleidoscope of Lotus impressions on the senses. 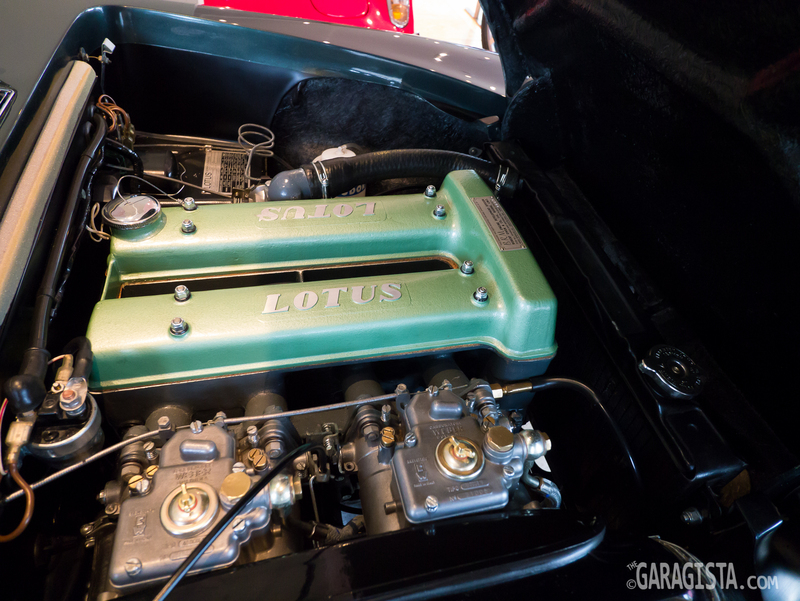 Everywhere you look is a Lotus car, part, or image. 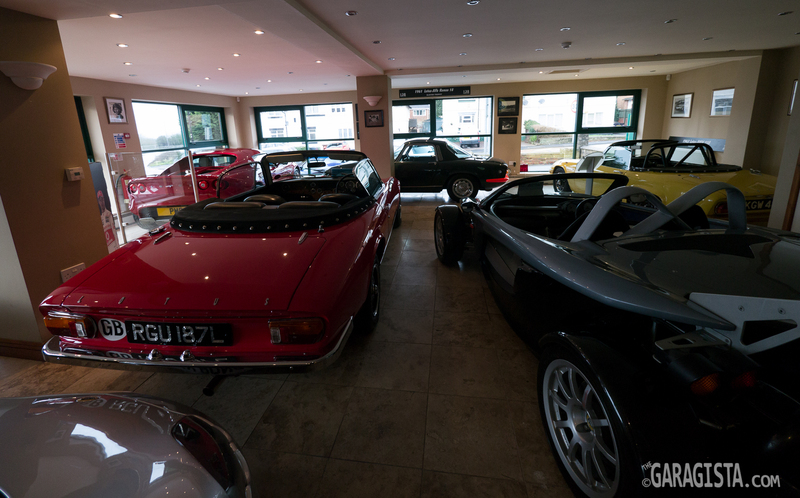 I think one could spend several days in the confines of Paul Matty Sports Cars and not run out of things to see. 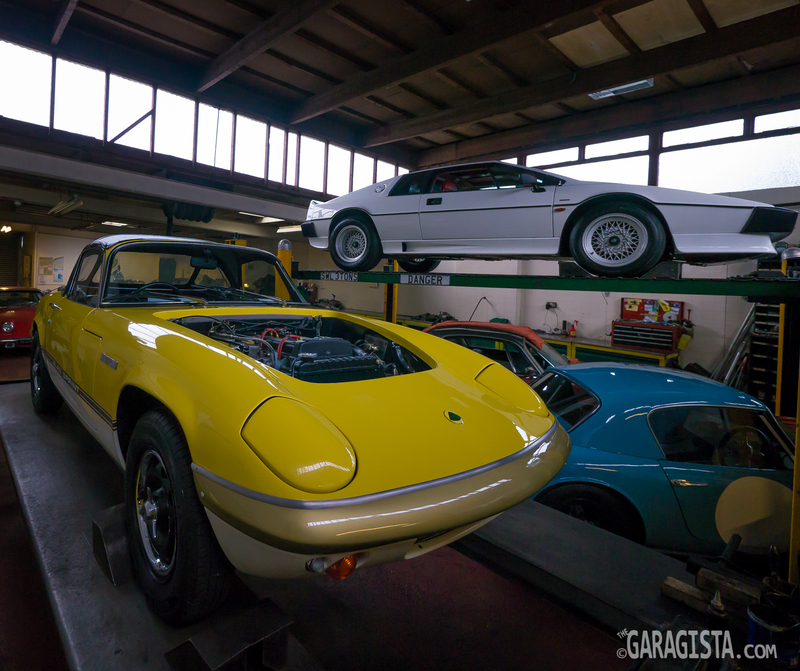 To be honest, I have visited Lotus specialists in several countries but the width and breadth of expertise spanning from classic to modern is not found anywhere else outside of Paul Matty’s shop. 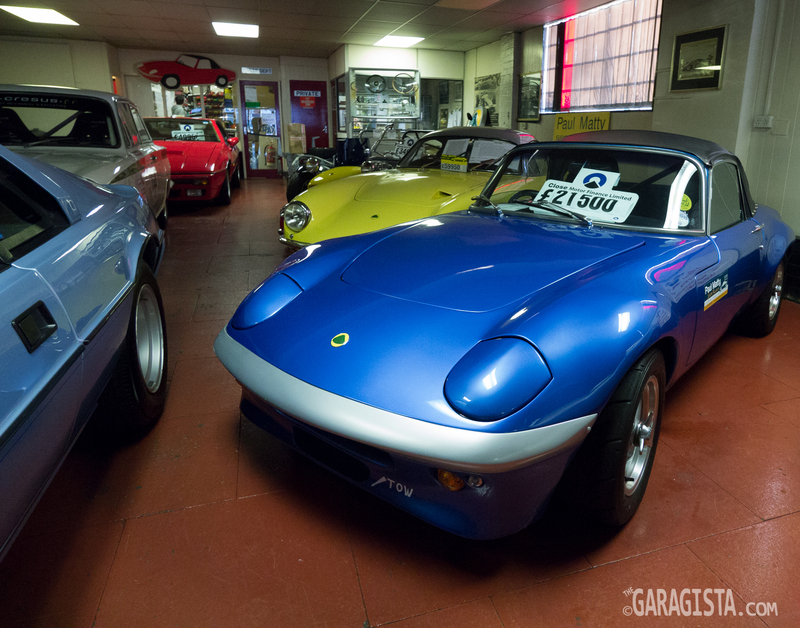 During my visit, Paul was working a deal on an Elan 26R, all the while a gentlemen came in to buy an Elise. 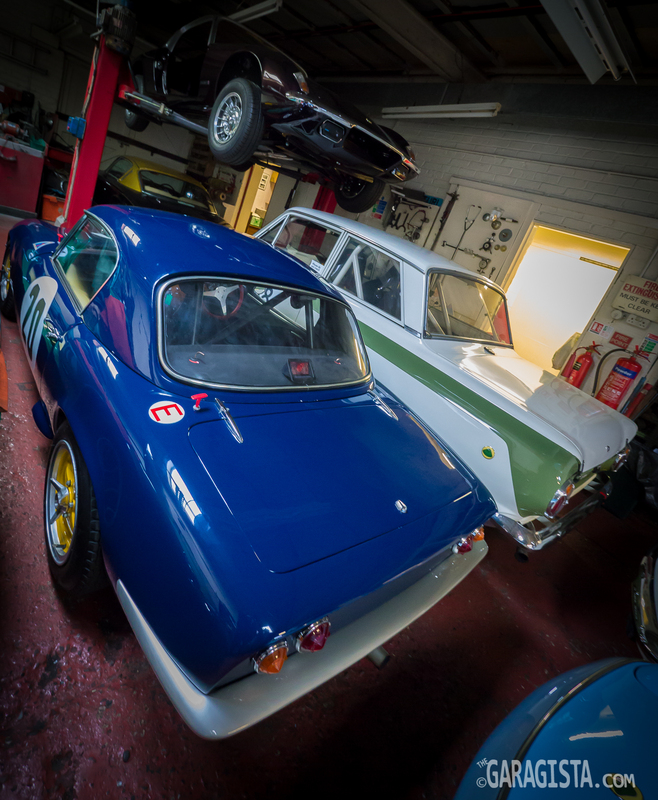 John mentioned the business is divided evenly between classic and modern cars. The expertise doesn’t stop at the showroom. 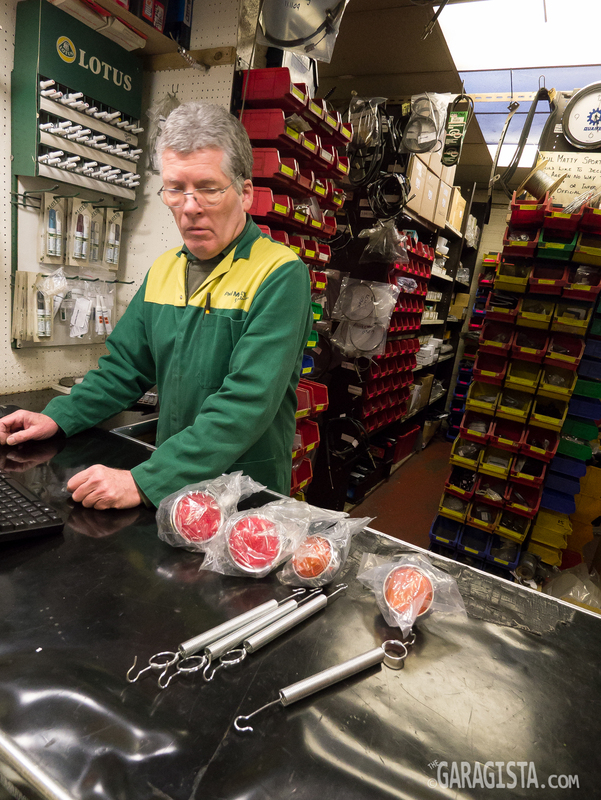 Head into the parts department and speak to Roy Fellows and you’re talking to a walking data base of Lotus parts. 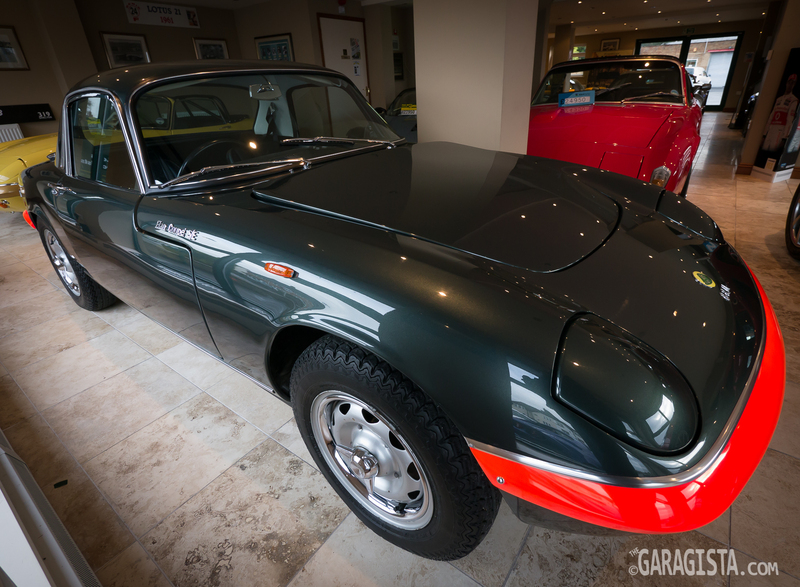 I had been looking for several parts for an Elan and had been told they were no longer available. I challenged Roy with the task of finding these rare items and moments later he appeared with everything I needed, thereby prying several hundred GBP’s from my wallet not to mention 20% to the Queen. 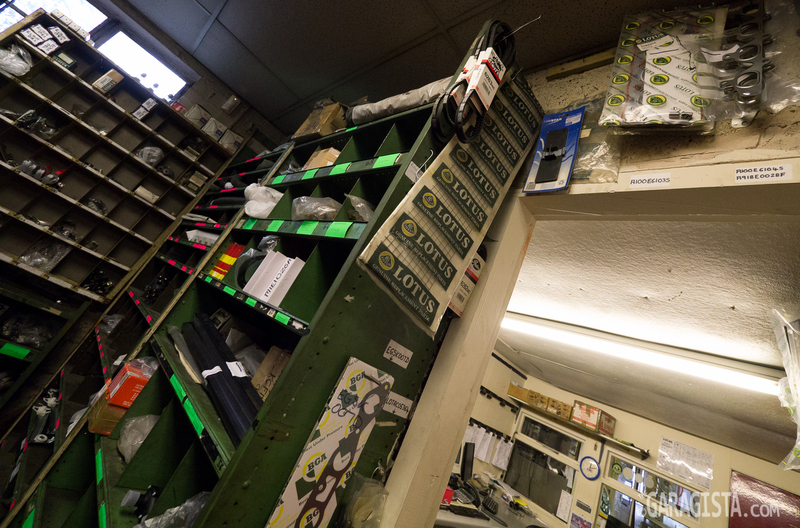 Roy will ship parts all over the world so if you need something and are tired of wasting time, drop him a line. 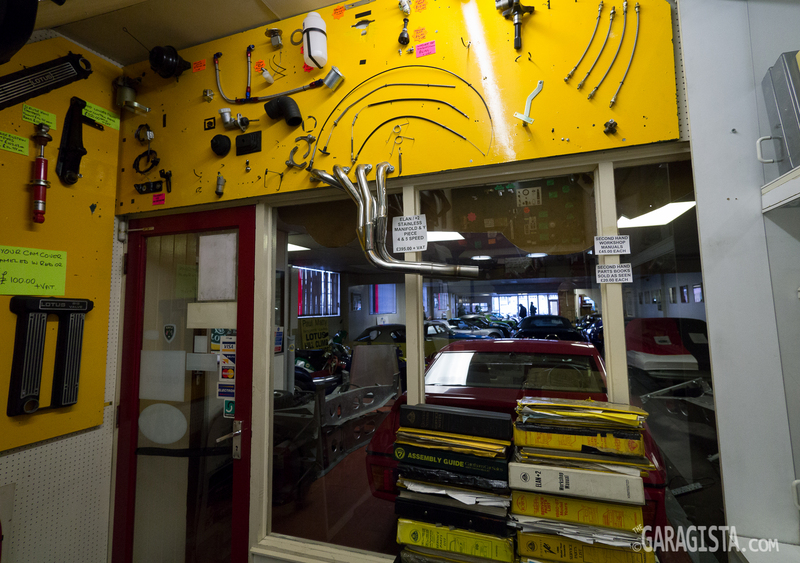 You’ll also find a full service workshop on the premises staffed by skilled craftsman capable of everything from an oil change and service to a complete restoration. 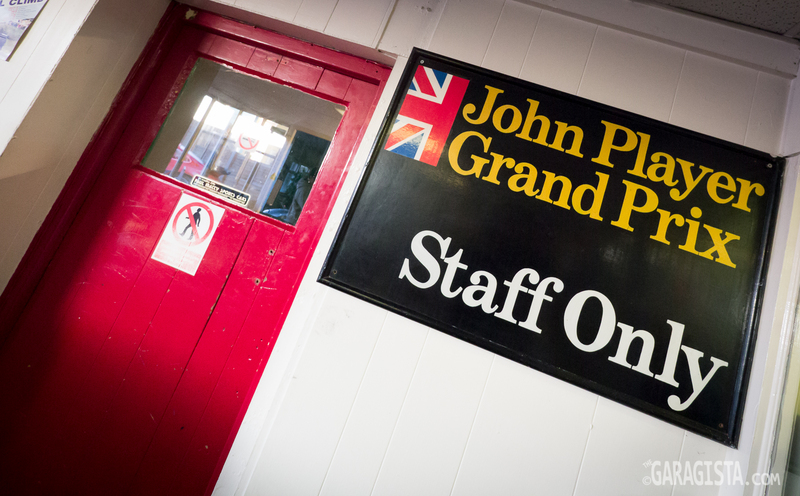 And it’s not just road cars either, as they also support and maintain race cars. Paul Matty along with most of the staff compete in the regional hill climb series as well as several international events. 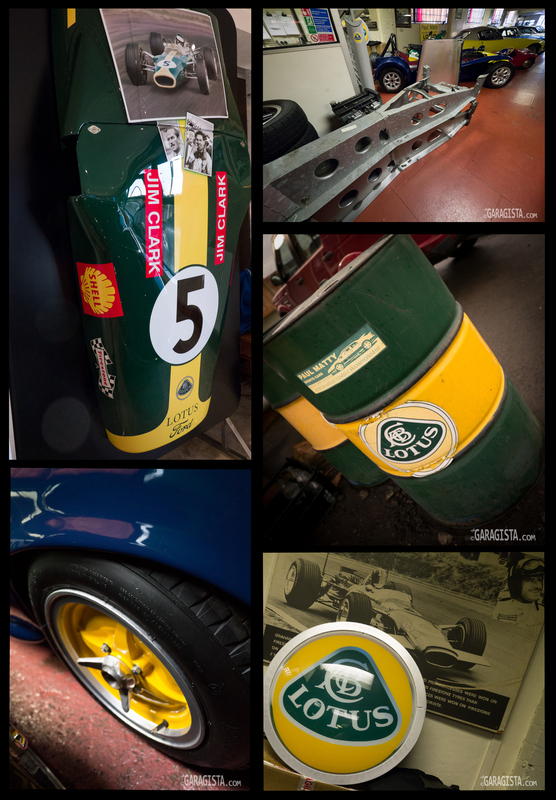 You can read about their motorsport activities at the Shelsley Walsh Hill Climb here. Paul also dabbles in a few non Lotus cars like this Elva . 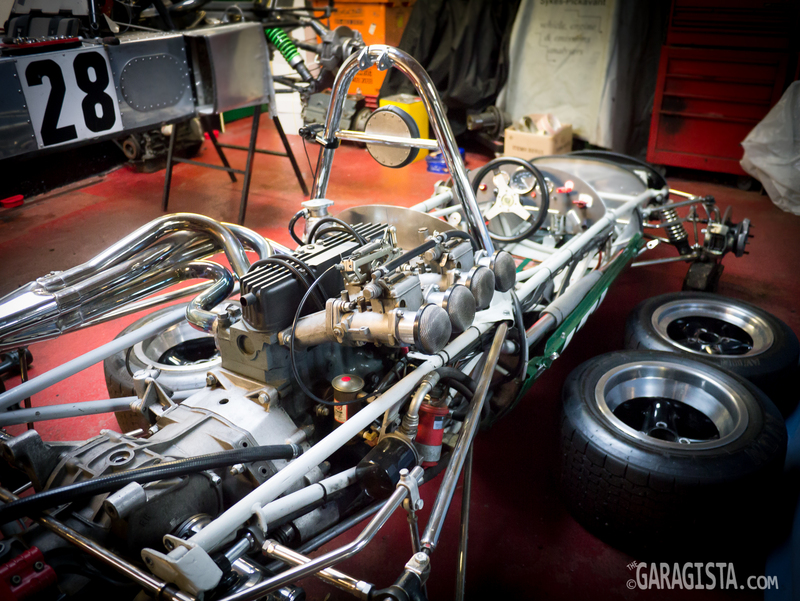 This early S1 26R (Chassis no. 26/R-43) was in for recommissioning before heading over to auction. This car is one of approximately 97 26R’s and was a special treat to see. The car once raced in the USA but was returned to the UK in 1990 and has raced off and on since. 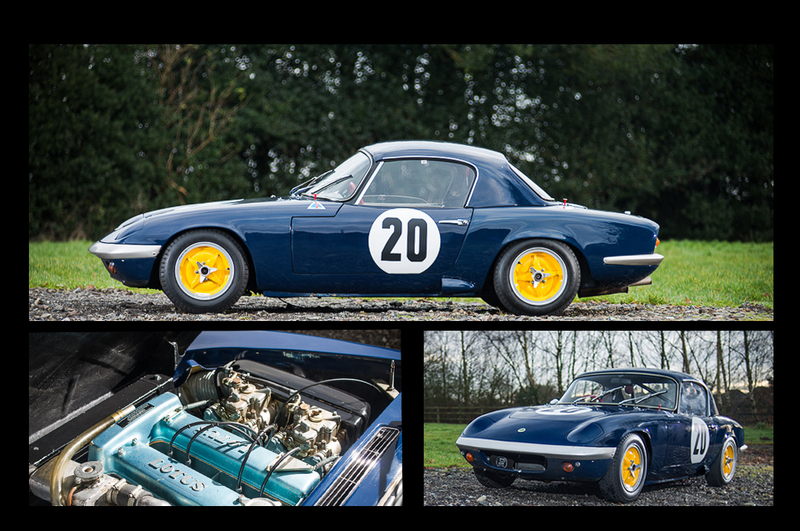 The 26R was a special lightweight purpose built version of the Elan road car produced specifically for racing. They were and are still successful on the circuit. 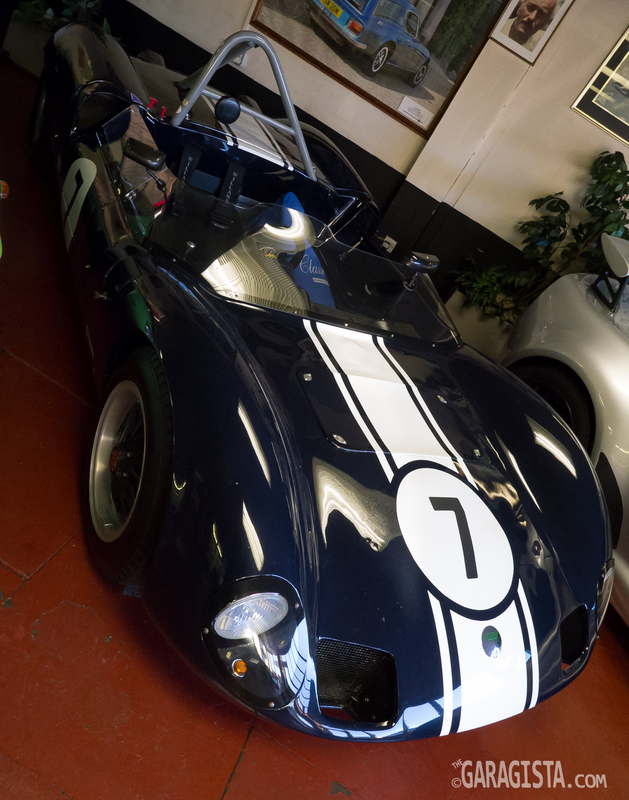 This brilliant S3 BRM FHC Elan was for sale at Paul Matty’s. 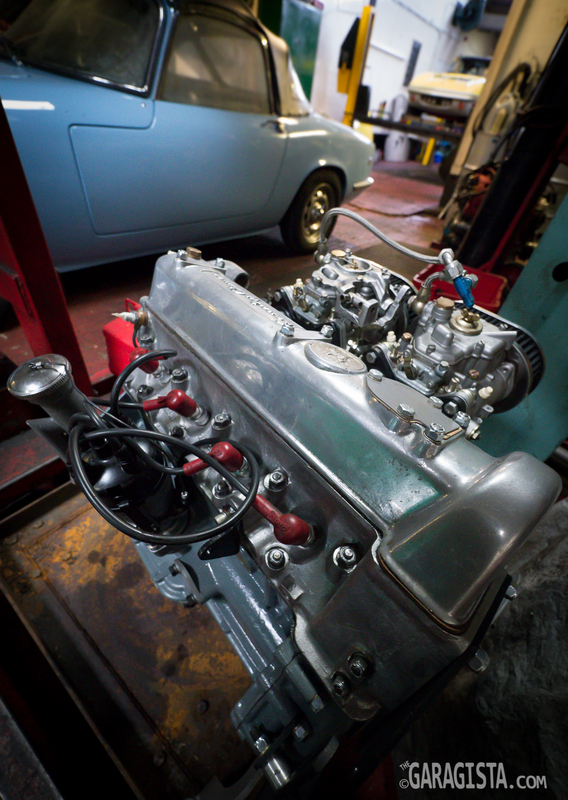 With only a handful produced and a warmed over engine, the BRM Elans command a premium price. 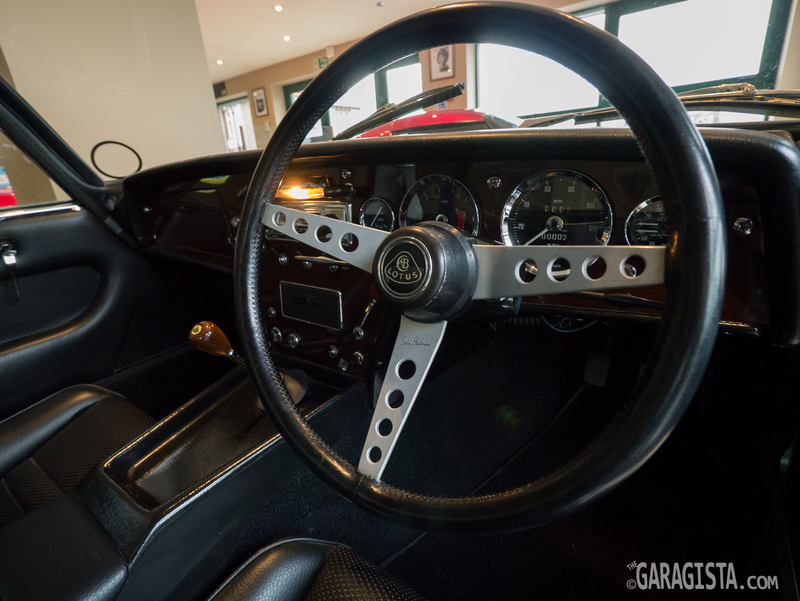 This example seemed to be in flawless condition with the interior even smelling new. 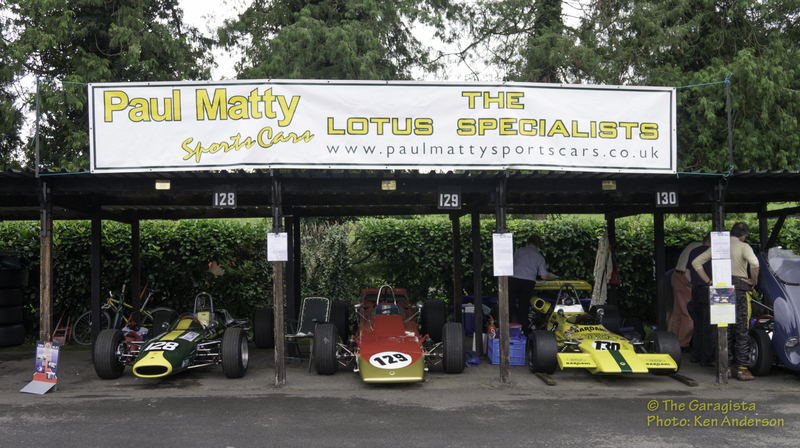 Paul Matty Sports Cars is one of those places that supports the enthusiast because it is run and managed by enthusiasts. During my visit, several customers came by to pick up spares. Both John and Roy knew the customers’ cars histories as if they were their own. 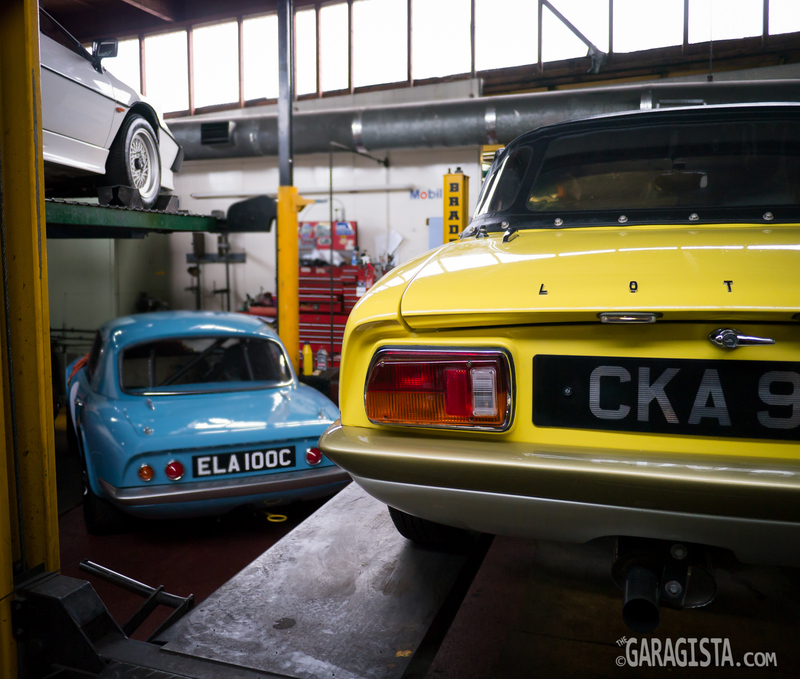 Specialists like Paul Matty and his team provide an invaluable service to enthusiasts and those just trying to keep their car on the road … and they do it because they enjoy it. You can feel the passion when you step through the door. 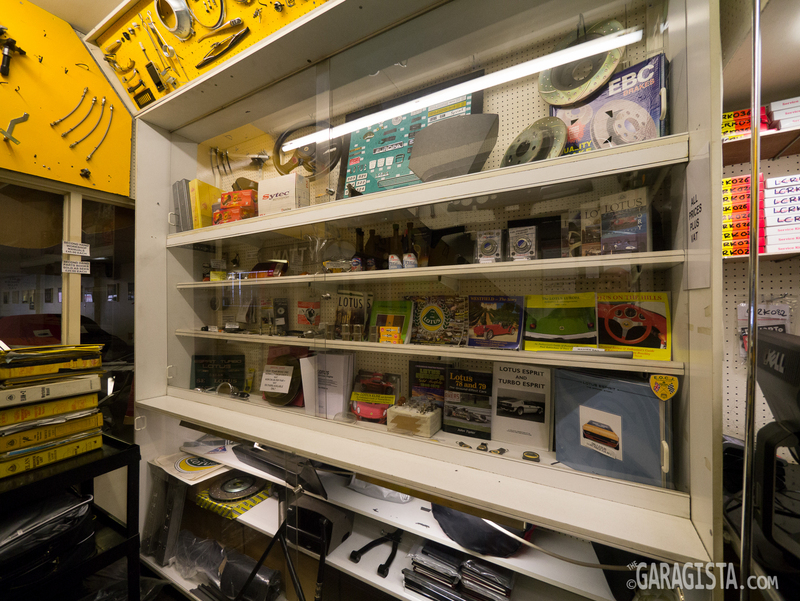 If you’re in the neighborhood, stop by, say hello, and buy a few parts… or a car. 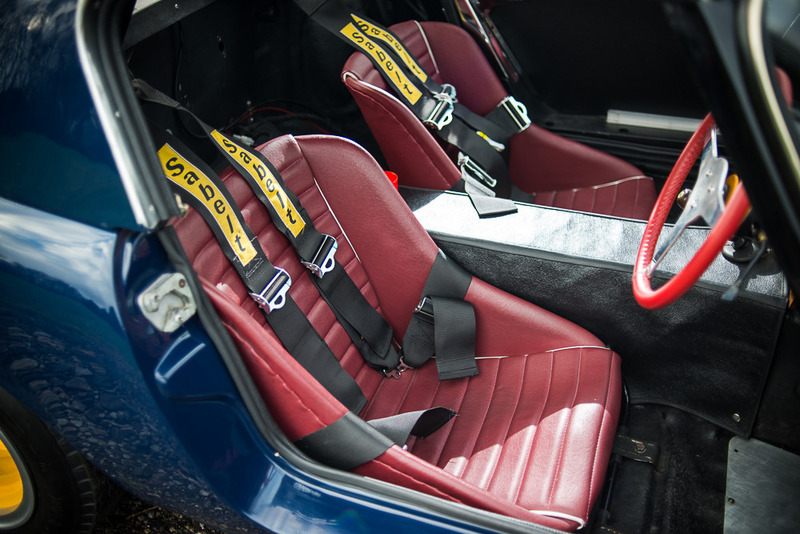 Gallery | This entry was posted in Lotus, Lotus Cortina, Lotus Elan, Lotus Seven, Retro, Workshops and tagged Elan, Elan 26R, Historic Racing, Lotus, lotus 7, Lotus Cortina, Lotus seven, Lotus Seven Parts, paul matty sports cars, shelsley walsh hill climb. Bookmark the permalink. In my opnion the best car every built, I cannot wait unti Lotus takes over F1.